Daniel is a co-founder and CEO of Engage where he is responsible for overseeing all aspects of Engage’s day to day operations and big picture strategy. Outside of his work with Engage, Daniel manages and consults for several professional athletes including USC blind long snapper Jake Olson and NFL veteran Ryan Harris. Daniel has always been interested in entrepreneurship and co-founded his first tech company, Shiftcloud, with Engage CTO Mike Olson while they were both in high school. While also in high school, Daniel founded his school’s sports business club and brought in a host of notable speakers such as former NFL Pro Bowler, Brandon Lloyd, Denver Broncos President, Joe Ellis, Denver Nuggets GM, Tim Connelly and Colorado Rockies GM, Jeff Bridich. 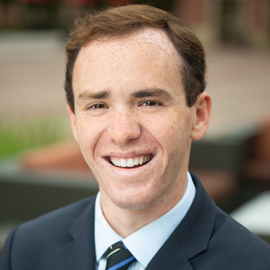 Daniel is currently a senior at USC majoring in business. Outside of his work endeavors, Daniel enjoys all things sports from playing to watching, and also enjoys investing and is an avid reader.